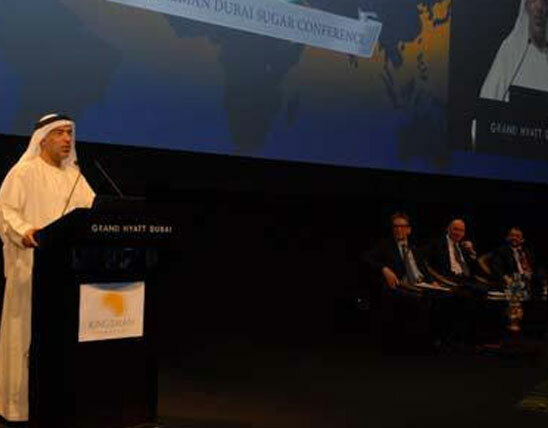 Al Khaleej Sugar, the largest sugar refinery, attended the Kingsman Dubai 9th Sugar Conference at the Grand Hyatt Dubai. The Sugar Conference, one of the largest and most renowned event in the sugar trading industry, will welcome over 600 delegates from over 45 countries, and will continue until the 5th of February. The three day event, which started on February 3rd, welcomed some of the most important players in the sugar industry, such as refiners, producers, shipping companies, investment bankers, and traders. Jamal Al Ghurair, Managing Director of Al Khaleej Sugar Refinery, expressed the importance of such an event: "The Dubai Sugar Conference is an excellent hub to network with shareholders and to meet with our peers in the sugar industry. It's the ideal stage to discuss important issues like the anticipated global sugar consumption growth in 2013, which is proposed to be an approximately 2 to 2.5% increase, as well as to talk about our own expansions and additions to the refinery." The day commenced with a welcome address from Mr. Al Ghurair as well as an address from Kingsman Director, Jonathan Kingsman, and then broken down into sessions consisting of market updates, panel discussions, and speeches. "The conference is a great place for speakers and attendees to meet and discuss past, present, and future developments and happenings in the sugar industry, such as the 16% sugar price decline in 2012," commented Kingsman. "We have been bringing together a huge international group of people here in Dubai for nine years, and the conference has become one of the biggest stages for sugar market discussion in the world." 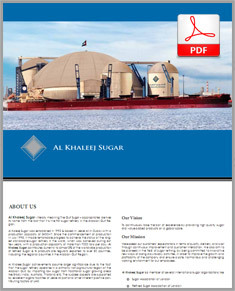 Al Khaleej Sugar refinery is based in Jebel Ali and is the largest stand-alone sugar refinery in the world. They produce approximately 7,000 tons of refined sugar daily to be exported to over 40 countries around the world, producing a record breaking 7,150 tons of sugar a day in August of 2012.